“You knocked it out of the park this morning! relevant information and into a one-hour presentation. You kept the audience hanging on your every word. highest for our whole conference! The feedback has be fantastic. Financial industry influencer. Author. Podcast host. A creative force in financial services marketing. Sought-after marketing and digital marketing keynote speaker and trainer. 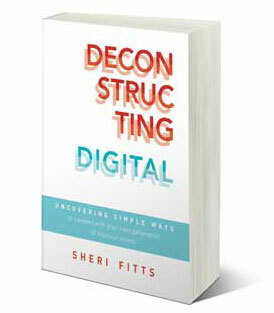 With 25+ years in the financial services industry, Sheri is an expert in leveraging marketing, branding and a fine-tuned digital strategy to help financial professionals attract the right clients, increase revenue, retain relationships, and navigate the online world – even in the world of regulation and compliance. Sheri’s spoken to audiences large and small with clients including Charles Schwab, Morgan Stanley, Cetera, Nationwide and more. 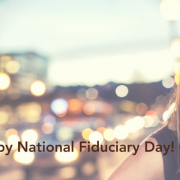 Happy National Fiduciary Day! Or not? https://sherifitts.com/wp-content/uploads/2018/03/LinkedIn-National-Fiduciary-Day.png 400 700 Sheri Fitts https://sherifitts.com/wp-content/uploads/2017/12/sheri-hdr-logo.png Sheri Fitts2018-03-21 23:59:382018-03-22 10:15:37Happy National Fiduciary Day! Or not? https://sherifitts.com/wp-content/uploads/2017/12/sheri-hdr-logo.png 0 0 Sheri Fitts https://sherifitts.com/wp-content/uploads/2017/12/sheri-hdr-logo.png Sheri Fitts2018-02-27 08:11:362018-02-28 05:25:27WTF? Feeling commoditized? Show some love! 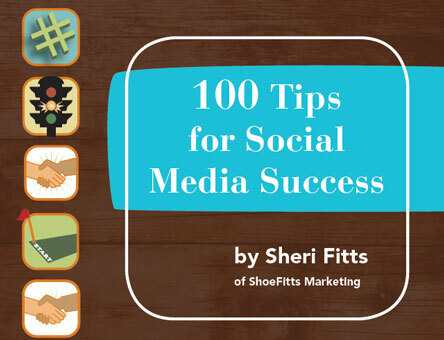 https://sherifitts.com/wp-content/uploads/2017/12/sheri-hdr-logo.png 0 0 Sheri Fitts https://sherifitts.com/wp-content/uploads/2017/12/sheri-hdr-logo.png Sheri Fitts2018-02-14 06:06:582018-02-14 06:06:58Feeling commoditized? Show some love! https://sherifitts.com/wp-content/uploads/2017/12/sheri-hdr-logo.png 0 0 Sheri Fitts https://sherifitts.com/wp-content/uploads/2017/12/sheri-hdr-logo.png Sheri Fitts2017-12-04 23:15:022017-12-04 23:15:02Happy National Sock Day! Sheri is the founder of ShoeFitts Marketing, a consulting firm that helps financial services firms navigate marketing, branding and the digital world. Book SHERI to make your next event an UNFORGETTABLE experience! The book on social media media success in the financial services industry.